Who’s Afraid Of The Big Bad Blogger? So once again the Sussex GOP demonstrates that it is the safe harbor for the fringe element of the Republican party, and the home of hypocrisy. So as I do every second Monday, of every month, I showed up at the monthly meeting of the Sussex County GOP Executive Committee. I tend to show up early and stay late, and to be honest, I am beginning to ask myself why? Nothing ever happens at these meeting that will get Republicans elected, but for pure entertainment value you can’t buy a ticket for the kind of show they put on consistently. To be honest I do play my part in this show, mostly born from frustration with the level of hypocrisy, that festers and grows within this committee, and the complete waste of time spent on doing the absolute most nothing possible, I act out my frustration by challenging them at every turn. I have been voted out of this committee in response to my shining the light of public scrutiny upon their backroom maneuvers. And having been voted back into the committee, I resigned in protest to what I saw as the coming continuation of the same old problems, new cast. So as I walked into the meeting tonight I passed by the sign-in table. I was asked to sign-in, I asked for what purpose. I was told it had to do with insurance liability. Yeah, okay. So I made an X on their form and walked away. The person at the table, Bruce Fitzgerald, said that I had to sign my name, or else he would call the police. I continued into the meeting hall. Let me be clear here, Mr. Fitzgerald knows who I am, he could have simply written in my name. Also, there is no reason for guest, to have to sign into this “PUBLIC” meeting. I am not a member of the committee, and have no effect upon their quorum count. More importantly to call BS on the insurance lie, if I were to wait until after the meeting were to start, and then came in, there would be no one to sign me in, and yes, there are many people who come in after the meeting starts and do not sign in. As I sat talking with friends, in comes Mr. Fitzgerald with a Georgetown police officer. No way? Yes way! The officer said that if I didn’t sign their sheet that I would have to leave. I told him that I had made my mark on the sheet, but since I didn’t want to trouble him anymore than he was already being troubled, I would sign their meaningless sheet. So this is the same group that is always crying foul about a police state, and yet they called the police to enforce the rules of their private club. These are the people who cry about the misuse of tax payer dollars, and yet they called the police to waste their time and tax dollars to come make me sign a sheet of paper that if I had waited twenty-minutes longer, I would not have had to sign. Since I was not disorderly, I am not really sure that the police should even have involved themselves. But let me be clear, this was not the fault of the police officer, he was put in this position, first, I will admit, by my pushing back against the totalitarian, fascist tactics of forcing guest to sign a sheet of paper that isn’t worth the paper it is written on, and second by what seems to have become an organized effort to discourage me from attending these meetings. So what’s going on here? Well it seems as though the Sussex GOP Executive Committee in general, and possibly Mr. Fitzgerald in particular have it in for Frank Knotts. You see, it was just last month at this meeting, that Mr. Fitzgerald made a motion to take the committee into executive session, and was quite clear that he was doing so because I was in the room. I have to feel that this is a coordinated effort of the new administration to silence me, and anyone who dares to point out their hypocrisy and ineffectiveness. Is this what passes for transparency? Openness? Is this new administration frightened of about what it is they do? Or more like, what they don’t do? I am told time and again by many of the people in that room that what I do is irrelevant, that I make no difference. If that is so, then why are they so determined to silence me? These are the so-called “patriots”, that continuously espouse freedom and rights, and yet they would silence my freedom of speech, they would hide behind executive sessions to keep me from telling the voters what it is they talk about, in what should be public and open meetings. They call the police to remove me under some trumped-up pretense of not signing their sheet of paper. The equivalent of a DUI checkpoint. “Please stop here and sign the paper”. So are they really afraid of the big bad blogger, Frank Knotts? No, not really. What they are afraid of, is anyone who dares to expose them for what they are, hypocrites. They are afraid for the people outside the committee, to be told of the things they say, and do within their closed off inner circle of sycophants. The way they play fast and loose with the rules of their own committee, the way they ignore the laws of the state. All the while using words like freedom, liberty, and rights. It would seem as though there has been a contract put out on me, to silence me, to attempt to keep me from relating to the voters what happens at these meetings. I have no idea who the capo of this organized effort is, or maybe I do, but I can assure you, unless they want to go into executive session every month, and to lock out the entire public, I will be there to relate their every act of hypocrisy. I am a registered Republican, and have every right to be at a public meeting of Republicans. This means all Republicans, not just the ones they deem “GOOD” Republicans. The fact that they would close the door to the public in response to one man, the fact that they would call the police to remove one man, the fact that they are reacting to me, a simple working class dog, who does nothing more than to observe, and then comment on the things I see, all of this means only one thing. 66 Comments on "Who’s Afraid Of The Big Bad Blogger?" Cheer Center regulations require those who rent their facilities to have their guests and participants sign in. This is an insurance requirement decided by the Cheer Center, and not by the Sussex Republican Committee. They are not afraid of you. They are afraid of truth actually getting out into the public… Sounds like your next move would be to send in someone else to gather information for you…. Pick someone they don’t know. @DukeBrooks. If Frank is being honest, a “x” is a signature. They called the cops because they knew who he was, not because they didn’t know who he was. None of this seems remotely related to getting good folks elected, in fact it has the opposite effect. Liability, that’s a word the spokesman for the Sussex GOP spokesman should think about before he uses it. Do you think a single elected official or potential candidate wants to be associated with calling the cops when a get under your skin blogger gets such attention? Can’t wait til next month when Frank shows up with an offensive sign and Duke explains his speech is limited for liability reasons. They should sell popcorn at this clown show. I find it telling that the first comment here is from Duke Brooks, who just so happens to be the person who brought the motion to have me removed from the committee last year. Mr. Brooks likes to tell people he is the “acting spokesman” for this or that. Well since Mr. Brooks is “acting” like he knows something, maybe he will explain why, if the CHEER Center requires groups to have their guest and participants to sign in, how come the GOP does not post someone at the door for the entire meeting to make sure that late arrivals also meet this requirement? Or is there only a liability issue with people who arrive on time? I told him that I had made my mark on the sheet, but since I didn’t want to trouble him anymore than he was already being troubled, I would sign their meaningless sheet. If the sheet was “meaningless,” then why didn’t you sign it? Sounds like something Hillary Clinton would do- she’s above the law, too. Do people attending church there have to sign in? no. Do people attending other open to public events have to sign in? no. Total bullsh*t. People have been walking into the SCGOP meetings at the Cheer Center for well over a year without having to sign in. I’ve been to dozens of events there that do not require signing in, from holiday shows for school to a wide assortment of meetings. Does anyone remember when these same crazy people (and Frank) were accusing Ron Samms of playing with meeting venues to keep certain people out? Poor Ron had to be threatened, publicly shamed and harassed for his sins. I recall Bruce Fitzgerald being physically removed from the March 2011 meeting by Sheriff Christopher (who had his hand on his gun) and Chris Weeks because Bruce stood up and tried to defend Ron. What a bunch of shameless hypocrites. Frank, you are absolutely correct. They are definitely a bunch of hypocrites. The voting for the elected offices was very wrong. They would not accept proxys for people who were absent. None of these people as individuals or as a group helped anyone from the party get elected. Some went as far to support another candidate who was voted out. The truth about how that turned out is slowly coming to the forefront. I do believe they will self destruct as they continue to regress. No support from the real Republican Party members should do the job. They can not function with out physical and financial support. Right on Frank. Listening to Dan Gaffney. The deputy director from the Cheer Center called in and said that signatures are not required by the cheer center. Just another example of how sketchy the SCGOP is these days. No, there’s no law that says you need to sign in. But, is signing in a big deal? No. The proof of the “declining Sussex GOP” that Frank and many of you whine about will be in the pudding. Let’s wait until the ’16 elections, and see how many seats the Democrats gain in Sussex. Based upon many of your comments, we can expect a Democrat landslide, right? After all, the Sussex GOP is in such a state of disarray, right? The fact that the police were called also brings up other questions. How were the police contacted? Was it a 911 call? I guess the worse case scenario would be if someone from the Georgetown Police didn’t follow standard procedure ,and consequently was found to have conspired with someone from the SCGOP to unlawfully harass Frank Knotts. Frank was looking for controversy & he found it. He never had anything good to say about anything. He only complains. Just sign the paper & quit trying to make controversy. Attendees at Cheer events (events that Cheer puts on) do have to sign in. Cheer receives funding based on attendance. Hence the need to sign in. Outside organizations who rent Cheer facilities have no requirement for taking attendance except as the outside organization requires. So yeah, this is BS. This is symptomatic of a group behavior where fables are passed from one person to the next until the entire group adopts the fable as gospel. Certain groups tend to do this with things like the bible, the Constitution, the law, etc. When the fable supports one’s beliefs it is rarely challenged. Even so, since most of the group knows Frank, it doesn’t make a lot of sense for him having to sign in unless it’s simply pettiness and a juvenile form of shunning by pretending they don’t recognize him. …..for instance, if somebody called their buddy over at the Georgetown Police to come over and deal with Frank. Now that the TRUTH has come out and the SCGOP was LYING about Cheer requiring everyone to sign in, it’s time for Vince Uncorroborated to step down. I also call for an investigation into the call and the response by the Georgetown Police Department. Were the Georgetown Police lied to in order to get them to the Cheer Center or were they helping their buddies play politics? If the GTPD was lied to, like the rest of us were, to get them to the Cheer Center then charges must be pressed against whoever made the call. If the GTPD was helping their buddies play politics then the officer who responded needs to be investigated. Rick – the only candidate the SCGOP worked to get elected was Jeff Christopher. Every elected official in Sussex ran their campaigns independent of the Committee and won despite the committee. The antics of the SCGOP hurt Republicans in Kent and NCC every election cycle. BTW, if electoral success was the only factor in deciding whether or not a Chairman remained in place then Ron Samms would still be Chair. Brian Collins the SC GOP brings their own controversy upon themselves. As we now are aware CHEER center does not require a signature list as a member of the SCGOP EC adamantly stated on Dan Gaffney’s show and wrote in this blogsite. We have another former RDC who knowingly violated Federal firearms laws and was caught. Now we have a sitting 35th EDC who has misrepresented the information to Oath Keepers. He and a number of other EDC’s belong to this group. 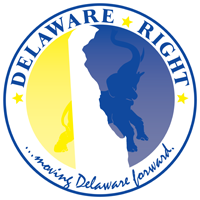 As a result of because of the misinformation provided Oath Keepers is now blaming the Delaware Republican party for the former RDC being “thrown under the bus”. As I said at the start the SCGOP EC brings controversy upon themselves, in part due to the arrogance and egos of individuals on the committee. Dave a representative from the CHEER center stated on Dan Gaffney’s show there are NO sign in requirements by CHEER. How many new members does the committee get? How many with university educations or a critical thinking course. These type of people have made the Republican party non viable for a huge segment of the population..
Vince Calabro and Duke Brooks should worry more about the illegal fundraiser they held on February 28th using the name of a PAC that they do not own and breaking Delaware campaign finance laws. Well, I think what warrants a real answer, is how the police were contacted. Let’s put time and energy into that. Vince Uncorroborated and Duke Brooks are liars, they lied about the Cheer Center requiring signatures for “insurance” reasons. Both need to step down, and the call to the GTPD needs to be investigated, and if a false police call was made, people need to be prosecuted. Apparently the Georgetown officer was told a lie in regard to the Cheer Center’s sign in policy. Someone fraudulently invoked the police powers of the government to seize Mr. Knotts (seizure doesn’t require being taken into custody as long as Knotts was moved, against his will, by the implied threat of government action). I find it highly doubtful that Suscom dispatched an officer if all they were told was “Frank won’t sign the book”. It wouldn’t be very hard for Mr. Knott’s legal representative to insure that that call was preserved. Depending on what is on the recording, the call could potentially constitute the crime of Falsely reporting an incident (11 Delaware Code Section 1245 (3) (c) ) . The hypocrisy demonstrated by the attempt to stifle dissent is matched only by the effort to give members of the EC “wiggle room”, in the face of all rules to the contrary”, to support a candidate, in the general election, other than one selected by the rank and file in the primary. Sussex County Republican candidates, in the next election cycle will be elected in spite of, not because of, this EC. I’m sure the GTPD has better things to do than respond to a call to force a man to sign an unnecessary sheet of paper. Was it a 911 call or was it a call directly to the GTPD? What were the police told that made them scramble to the Cheer Center? WE THE PEOPLE demand answers since our tax dollars were spent on this folly. I would direct those questions to Duke Brooks and Vince Uncorroborated, but now that they are proven liars, what would be the point? I want to hear it from the GTPD. You sure are controlling spin on this one Frank What’s wrong are you scared of what people think of you. why would you delete negative comments. Don’t answer, I already know the answer. Frank, all you want is publicity. get an education, you idiot. 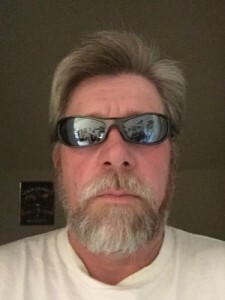 Just had a good laugh listening to WGMD radio. Frank was on explaining last night’s episode at the monthly SCGOP meeting. He explained what happened for the listeners, pretty much rehashing what he told Dan Gaffney this morning. When he was finished, some guy who said he was at the event called in and claimed that what Frank said never happened. Claimed that the police were never there at all. He sounded real confident about it too. Then he started on about how the Cheer Center requires signatures for insurance purposes, parroting exactly what Duke Brooks had said earlier in the day. I guess he didn’t get the memo to change the talking points after Duke Brooks was proven to be in error. Have the proven liars Duke Brooks and Vince Uncorroborated stepped down yet or do we need to wait for the GTPD to arrest them first? When an employee is disciplined or even terminated from their respective job, they can refuse to sign any document. The HR person or management representative merely needs to write: “Refused to Sign” in the designated line. One doesn’t even have to sign for a moving violation given by law enforcement. His posts haven’t been getting the desired comments lately (because he can’t write worth a crap} so he needed this event to stir the pot. It’s all about Frank. He can’t write worth a damn so he acts like a schoolyard Kindergardener until he gets his way. Vince Calabro decided he wasn’t going to put up with his antics any longer, and now Frank got what he wanted, an hour on WXDE, with Gafney covering his every move. Gafney is no peach either. He rideds the fence for ratings and has no opinion of his own. Vince has lived in Delaware 3 years. First let me address the false statements here. No comments have been deleted. If you expect to see a comment that is not on the thread, it is because that person has previously been placed in moderation for behavior that was deemed negative by the Board of Delaware right. So are you saying that Bruce Fitzgerald was playing a part in my grand scheme to get attention? That he called the police and possibly filed a false report so I can get more comments here? That Doobie Brooks called in and told an out and out lie on air to help a person he said he wishes would just go away? That he then, when caught in that lie resorted to making the “NO COMMENT” move? WOW! So which is it genius? Am I an uneducated idiot? Or the greatest puppet master ever? And the band played on, even though the ship (SCGOP)was sinking fast. The one glimmer of rescue was the election victory of Jordan over ” just Jeff “. Seriously though, what a bunch of hypocrites. The antics of the predictable cast of characters will continue to entertain, as well as lead to their eventual downfall. We should start a doomsday clock to mark the time till that dream comes true. Just heard Frank on WGMD receiving the last drops of free publicity from his intentional publicity stunt to stay in his insignificant place in the GOP. Quite a stunt Frank, but it increases you personal distastfulness. BTW Frank that picture that you use shows not only you smugness but your inner ugliness. BTW, you have been deleting comments. I’ve seen several appear that were negative concerning you and withing 15 minutes, they were gone. You are a liar also and a censor. Dear Token, please understand, if you can put you hatred away for a moment. As I said above, some people seem unable or unwilling to have a debate as adults, I have fallen prey to this myself. Please reference the post I linked to above. We here at DR made a group decision to more closely enforce the few rules we have. If a “GUEST” demonstrates they choose to test that position, then they are put in moderation, and yes the offending comment may also be removed. The tactic of hijacking the thread by making it about me is no longer tolerated. Just so you know as a warning, you are border line right now. If you would like to comment on the topic of the post specifically feel free. It would have been a publicity stunt if Frank called the police on himself. It would have been a publicity stunt if Frank had told the lie. He didn’t and it wasn’t. I’m calling BS on you JS. Frank came in the meeting with the intention of causing an incident, knowing that Calabro had already decided to call the police if Knotts got out of hand. He decided to not sign his name and acted belligerent. He did this as a publicity stunt and that’s the truth. I was there and witnessed the entire clown act that Frank put on. He came with the intention of adding nothing positive to the meeting and attempting to cause as much trouble as possible. gafney bought right into franks nonsense, like he always does. One of the reasons I, and many others don’t listen to Gafney any more is that as others have mentioned by another commenter. He rides the fence and has no opinion of his own. You act like you are a guardian of truth but instead, you are the guardian of your own fantasies and delusions. The GOP had a very good election year while your faction lost heavily in the GOP elections and that should tell you something. Tinker, if that is your real name, so now I am a mind reader, or are you saying Vince Calabro was a part of the stunt? Just how would I have known they had decided to call the police if I “again” refused to sign the sheet as I do every month? Oh wait, are you saying that they knew I would refuse to sign the sheet as I do every month and had pre-planned the idea of when I did they would call the cops? Were they hoping for a scene, which they did not get. All I did was question why I must sign, then put an X and walked away never saying anything else until the officer arrived. But if you were present as you say you were, then give us a name, or are you the coward we would expect? I have heard another person explain on WGMD’s John Budler’s show that at the AB meeting it had been decided that they would press the issue of the sign in sheet knowing that “CERTAIN” people would have a problem with it, and that they would call the police. If this is true, then it would show intent, and then if they files a false police report, then it would be conspiracy to commit a crime. I think that people like yourself should please continue to come here and show us all how smart you are and please keep talking. As for the “GOP” in Sussex winning elections? Really? Since 2010 the Sussex GOP has contributed to Republican campaigns exactly, wait for it, here it comes, $0.00! And this committee in large part with the consent of its former chairman supported a write in candidate against the endorsed candidate. Hmmm. I don’t usually listen to talk radio, but someone riding the fence, not injecting their own opinion and the letting the information speak for itself sounds like high praise to me. You mean he won’t be telling me what I want to hear? He isn’t an echo chamber? I’m going to have give a listen to Gaffney. If I were him I would capture that blurb and use it for marketing purposes. What time is he on everyday? And other than John Rielley calling to bash Frank, the Sussex Republican Executive Committee has been slient. No effort made to apologize to Cheer or Geogetown PD. I know they hate Frank for exposing them, but what a show of disrespect Cheer and Georgetown PD. Disgraceful! Wasn’t it John Rielly trying to protect the Vance Phillips situation? He doesn’t have big enough balls to come out and say we can’t support candidates that have such serious charges against them. He tried to operate in darkness and got caught and he’s still pissed about it. If John Rielly would have done his job and enforced the rules that he and his backroom buddies made, none of this would be an issue at all. Under Rielly’s watch as chairman, he supported no candidates in any fashion except for protecting his buddies Vance and Christopher. He likes to claim how successful he was but he didn’t do a thing. Have the SCGOP’s Spokesliar Doobie Brooks and the Chairliar Vince Calabro stepped down yet or are they still pretending that their lies were not completely exposed by the deputy director of the Georgetown Cheer Center on the radio to everyone living on Delmarva? Is former Chairliar John Rilie still pretending that this isn’t a big deal? A new broom is supposed to “sweep clean,” it’s not supposed to make everything even more filthy dirty than it was before. Well WWJD, in case you missed it, Mr. Brooks was on the Jim Rash show on WGMD today and while he had to admit he had spread a false statement, he doubled down on that it was all my fault, and basically said I had no business criticizing the Sussex GOP. I was able to call in following him and correct his continued false statements. You are delusional. I heard the whole broadcast on Jim Rash’s show and you received mostly negative comments from everybody who called in. I guess you didn’t have Gafney on you side this time. I especially liked the part where you actually believe you are exposing the truth by not signing your name. You need serious help boy! At the end where Rash let you snivel and whine for about ten minutes was really good. You sounded like an advocate without a cause. Snivel, Snivel, Snivel, Whine, Whine. Well Tinker, if that is your real name, everyone has their own point of view. And since you obviously don’t like me it is not surprising that your view of me would be a negative one. That’s okay. And by the way, they were exposed as liars. They lied to me at the table, Brooks lied to Dan Ganfeny and they would still be lying had not the official from CHEER come on the air and exposed their lies. I can only assume from you defense of Mr. Brook’s actions and those of the others involved, that you feel that misrepresenting the CHEER Center and wasting police resources and using the threat of government force on a registered Republican at an open public meeting was a proper response to not signing their sheet. A sheet that others have said on air that they have never signed and have never been asked to and certainly have never had the police called. It has become obvious to all but the most strident haters, that this was a pre-planned attempt to get me removed. All it accomplished was to again shine the light of public scrutiny upon this group of totalitarian fringe element within the GOP. Did anyone who witnessed the intimidation of Frank, notice if the police officer was wearing a brown shirt ? FBH, the officer was just doing his job, the question is, what did Fitzgerald tell the police to get them there. Yeah, I was just making a light hearted joke alluding to the “Brownshirts”, but until we find out what Fitzgerald actually told the police, we don’t know if the police officer was just doing his job. Did I just hear Duke Brooks reading the news on WGMD? News at WGMD delivered by the admitted liar, really. Isn’t the requirement for a new person some sense of integrity. Duke was on air at the beginning of the week, spreading lies and misinformation, and at the end of the week is delivering the news. But of course it’s WGMD . Is there some conflict of interest as the spokesperson for the Sussex GOP and the Lacey Laugherty for Governor 2016 campaign AND working for a local news organization? But it explains why he has not responded ‘in his capacity’ to the news of the day. A newsman who’s last comment was ‘NO COMMENT’. But of course it’s WGMD. Now, now . Duke was probably misinformed. I wouldn’t jump to conclusions. BTW, he goes by Sherwood Brooks now. Frank’s back on WGMD. Duke ( Sherwood) is back. Maybe they can retrieve Bill Colley from the desert in Idaho , and it could be like old times. What’s the line on how long Doobie can work at WGMD before he unleashes one of his racist rants? And sadly the great irony is that the uneducated angry lower middle class white people are among those who are hurt the most by the people they vote for and all to satisify their tribal racial resentments. Do the right thing and there’s no reason to fear me. These ding dongs can’t do right. I call for the entire SCGOP EXCOMM to resign for bringing fraud and scandal to the committee. Hey Vinny and Creeper, that means you.